Selling wedding ring set. 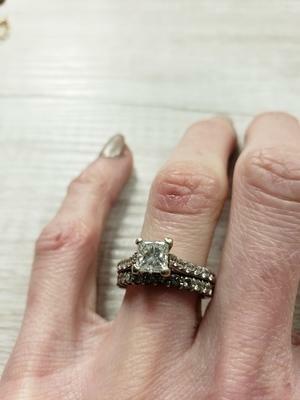 Beautiful 18 karat white gold solitaire engagement ring with round brilliant cut accent diamonds. 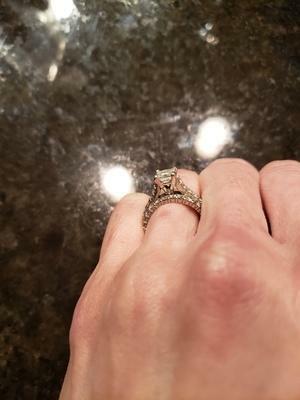 Diamond wedding band is soldered onto engagement ring. Size 4.5. Contact me for more ring details or any questions. I have all details and paperwork including lifetime warranty. $4,000 OBO. NOW 75% OFF APPRAISED VALUE ! 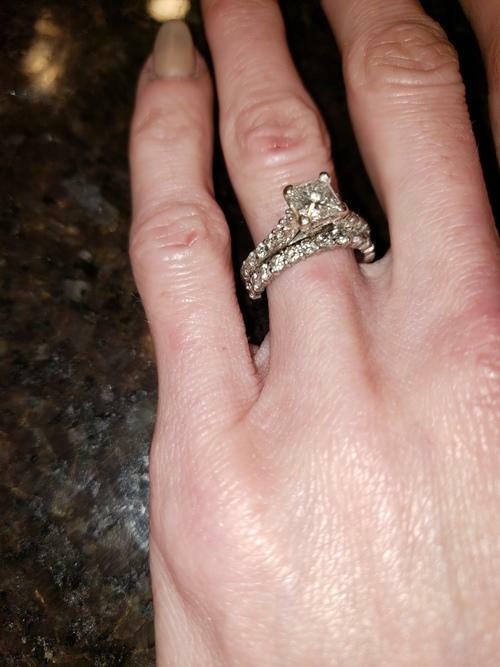 ENGAGEMENT RING PLUS WEDDING BAND..
Diamond and White Gold Wedding Set for Sale. Tell Stevie that you saw this ad on BisManOnline!